Ideal for Merchant Navy Officers from Cadet rank to Master Mariner, the fifth edition of this highly respected book is in full colour, and has been updated to include more information on topics as diverse as electronic navigation and AIS technology whilst still including essential information on subjects such as safety at sea, rescue operations, watchkeeping duties and pollution control. It covers international standards and works well on courses throughout the world. Seamanship Techniques is written for serving mariners and nautical students from cadet to master level, studying for professional marine qualifications under the International Maritime Organization as per STCW requirements. 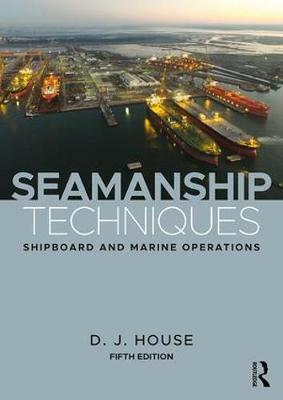 Used by training establishments around the world, this best seller is the only reference to both shipboard practice and ship operations that seafarers will need.